"You guys were just awesome! Thank you for making this event the success it was!" 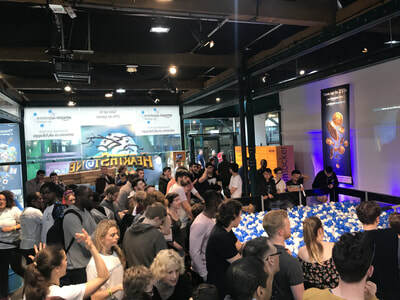 EGX Rezzed is London’s largest gaming convention and sees visitor numbers in excess of 16,000 across the three live days. This year Amazon and their app store team wanted to reach the gamers, designers and programmers who attend the exhibition with a fully immersive experience. 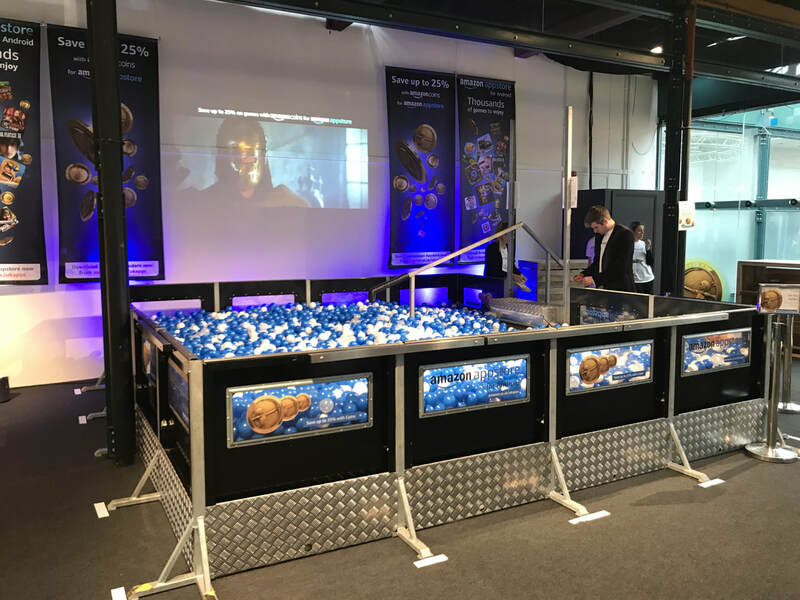 As well as providing fire tablets, charge points and an arcade style gaming machine to the stand visitors, they wanted something new. They wanted something that would be talked about outside of the convention, something unexpected and memorable. 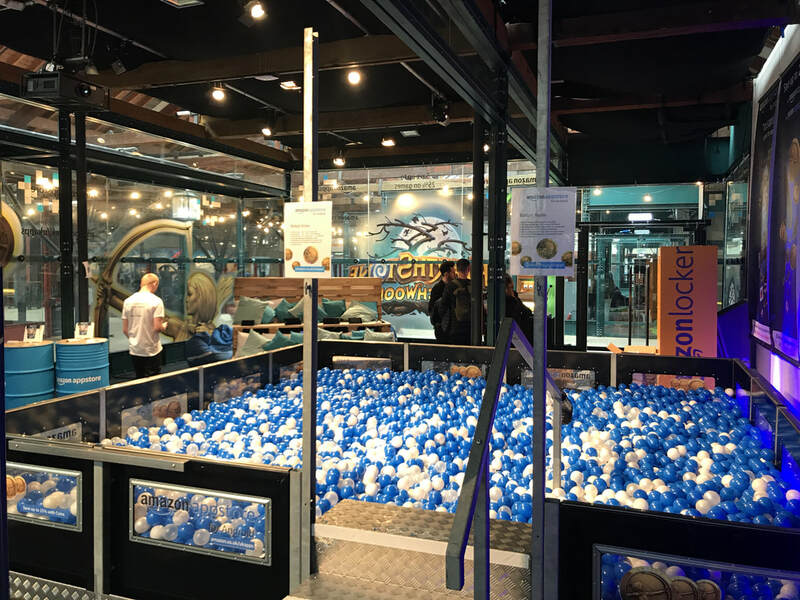 Ball Mania supplied a custom 16 sqm ball pit to act as their stands centre piece. 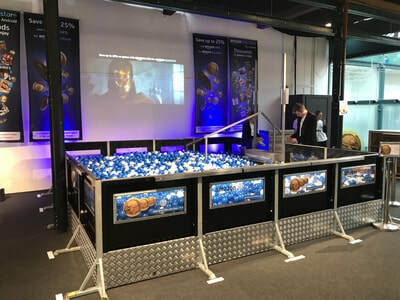 A fully branded experience was presented to the attendees as the ball pit was filled with custom balls to match the stands colour theme. 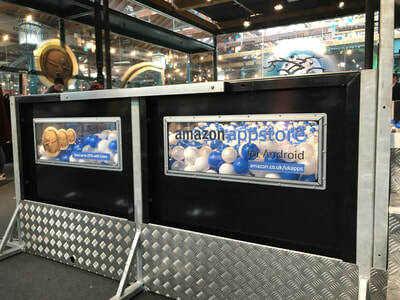 Window graphics were also placed around the ball pit structure as they provided a subtle, but effective prompt to customers to download their app. The experience was gamified as throughout the day, participants had 20 seconds to enter the ball pit and find a prize ball. Winners were then presented with an amazon locker code to redeem a prize and anyone who was unsuccessful was invited to retry. 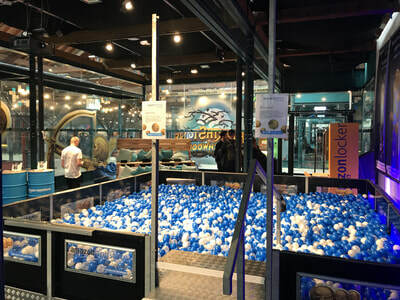 Throughout the event, Ball Mania staff were on hand to run and manage this crucial element of the stand, while a number of other brand ambassadors worked the crowd. 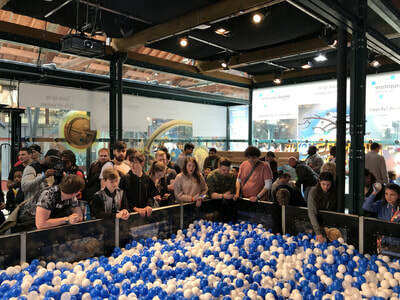 The ball pit was a focal point of the exhibition, with much of the press coverage focused around it. 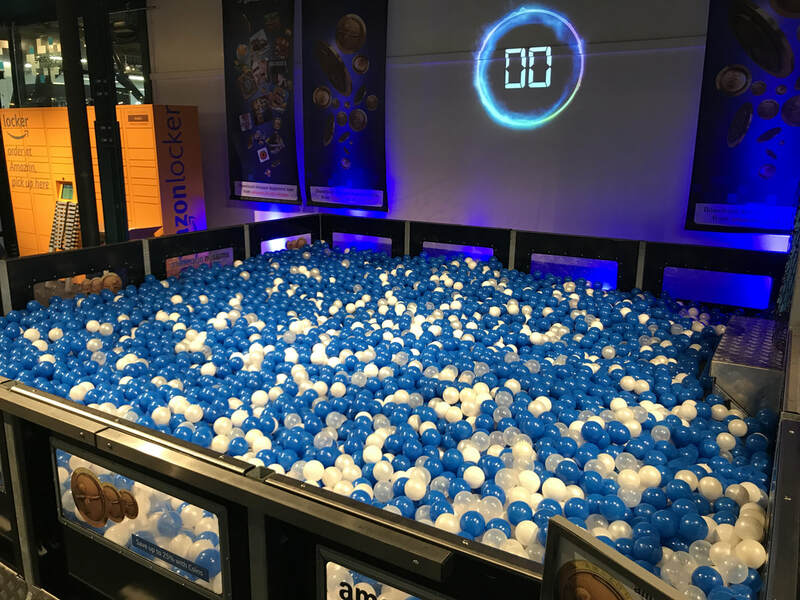 Throughout the day, the amazon stand was consistently one of the busiest at the exhibition, with the ball pit competition providing many moments of sheer joy, laughter and happiness. 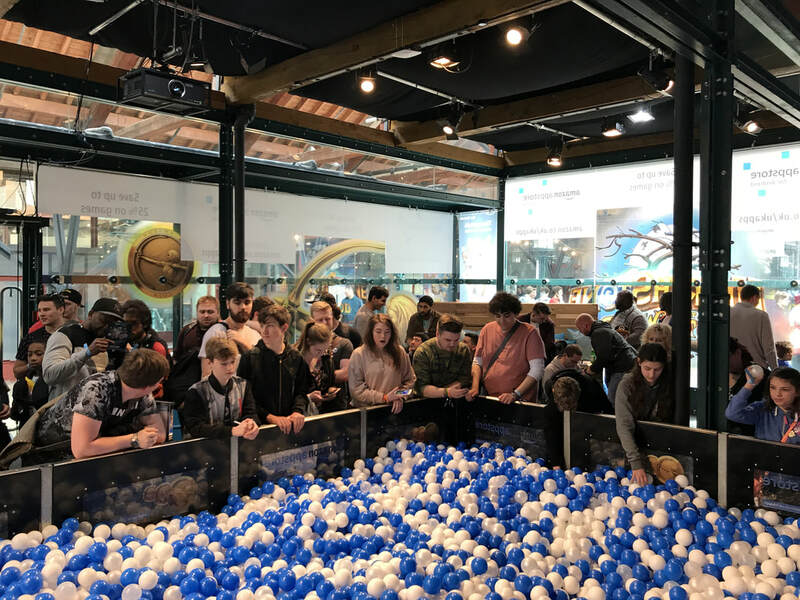 Across the three days Amazon beat all the targets they had set with regards to engagement and this wouldn’t have been achieved without our equipment in place. Like with every client, from start to finish we provided them with a bespoke, highly tailored service that ultimately lead to this run-away success.